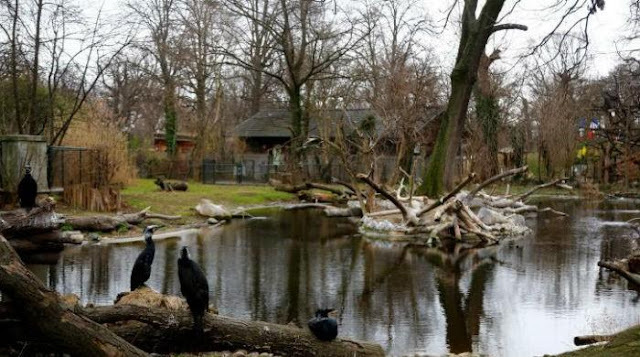 The Big Wobble: Austria's Vienna's Schoenbrunn Zoo euthanized its flock of 20 Dalmatian pelicans after examinations showed them infected with bird flu. Austria's Vienna's Schoenbrunn Zoo euthanized its flock of 20 Dalmatian pelicans after examinations showed them infected with bird flu. Vienna's Schoenbrunn Zoo has euthanized its flock of 20 Dalmatian pelicans after examinations showed them infected with bird flu. A zoo statement says the birds were put down Friday, a day after the first one was found with the disease. The zoo says the pelicans were infected with the H5N8 strain that is harmless to humans but spreads rapidly among birds. It has closed down facilities used by the pelicans to contain the virus. Bird flu outbreaks in Europe, the United States and Asia have led poultry farmers to destroy millions of chickens and other livestock birds.